Ashura is the road map to the perfection of humanity. It is a school enriched with timeless lessons for mankind. 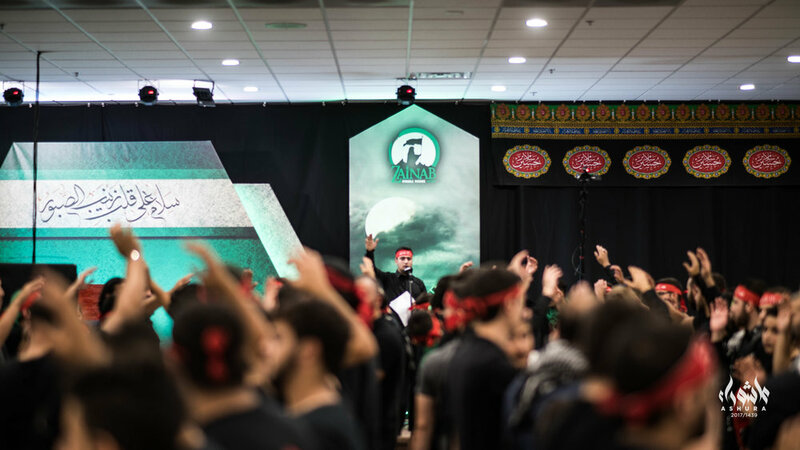 The story of Ashura has influenced millions of lives over the course of history and it continues to spark change in the world. To this day, Imam Hussain(a) continues to inspire millions around the globe, where his immaculate legacy will free the imprisoned soul, awaken the unconscious, and empower the powerless. This year's Ashura program, themed "Do Not Despair", aims to spread the message that no matter how deep with sin we have engulfed our soul, no matter how heavy life weighs us down, no matter how lonely our path may seem, no matter how hard it may be to stay steadfast in our religion, Allah (SWT) the Creator of the universe has promised that our salvation lies within His command "Do Not Despair!" The message of Ashura is that of struggle, patience, and hope that leads to an eternal victory. The English nightly program starting Monday, Sept. 10 at 6:30 pm will consist of an intellectual lecture series revolving around the theme "Do Not Despair", given by his eminence, Sheikh Amin Rastani. Following the lecture a short recitation (majlis) of the events that transpired during these Holy Nights will be given by Br. Rami Bijayjih. The Arabic nightly program starting Monday, Sept. 10 at 8:30 pm will consist of a lecture given by his eminence Sayed Riyad Al-Mumin. Following the lecture majlis of the events that transpired during these Holy Nights will be given by Br. Ali Hijazi. The program will conclude with a Latmiyyat session with a group of local reciters. In addition to the nightly programs, the Ashura project is holding several programs including a kids program during the arabic nightly program, educational programs, and community service efforts. See below for a complete list of the Ashura 2018 programs.